What is POPSUGAR Must Have Box ? Introducing a smaller version of our box of curated, full-sized products (note: items are different from monthly Must Have) including the best in fashion, beauty, and home for only $18.95, shipping included. Your subscription will auto-renew, so you get a little present every month! 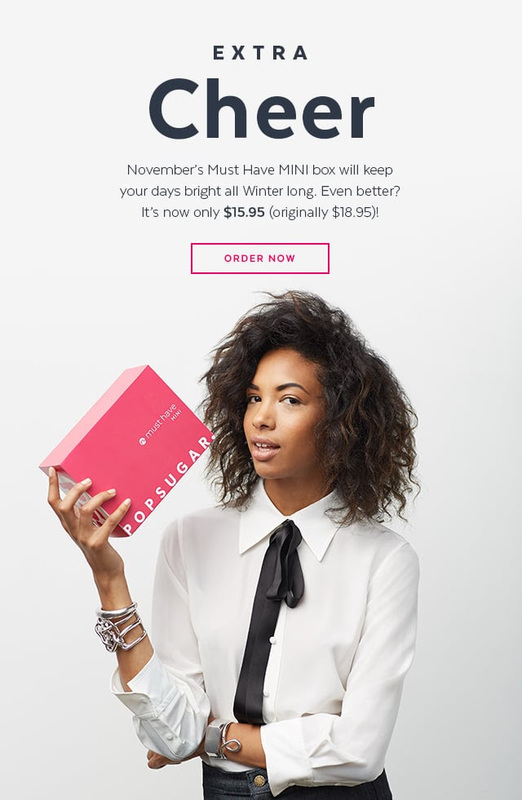 Are you getting your November POPSUGAR Must Have Mini Box? ← Awesome Pack: Get 15% off your first Awesomed Pack! Last Day!